← The Bel Mar Coin Club is growing! 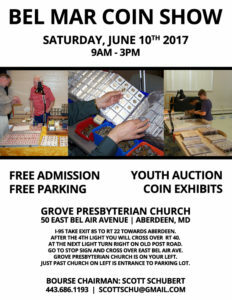 The Annual Bel Mar Coin Show will be here before you know it! This year the date for the Show is June 10, 2017. 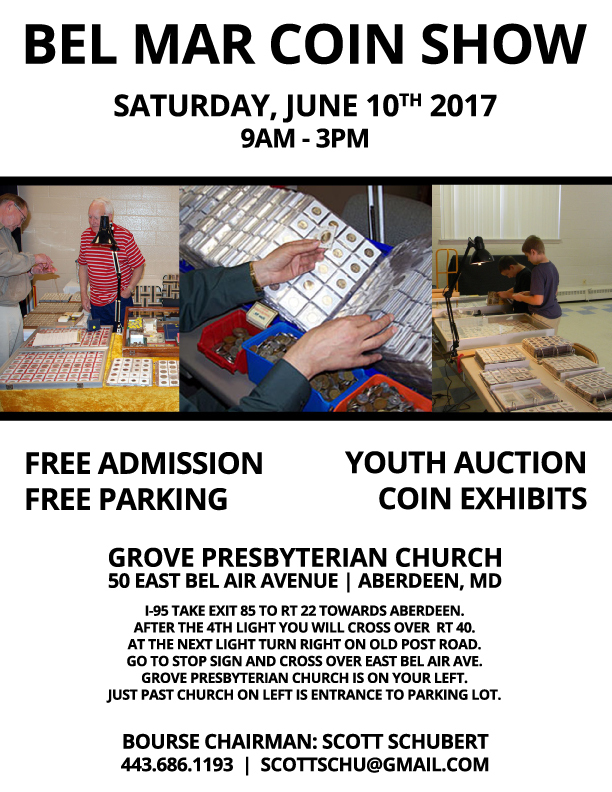 We will have quite a few Dealers with Tables full of Collectible Coins and other fun stuff! There is sure to be something for every Coin Collector, and for the curious too!